Between State Rte 31 and Colonial Parkway; adjacent to Col. National Historical Park and 6 miles from Williamsburg. I-64, Exit 234 (from west); Exit 242A (from east). GENERAL DESCRIPTION: Jamestown Settlement, a museum of 17th-century Virginia history, explores America’s first permanent English colony through film, galleries and living history in outdoor re-creations of a Powhatan Indian village, three English ships and colonial fort, and seasonal riverfront discovery area. Guided tours are offered daily. Expansive gallery exhibits chronicle the nation’s 17th-century beginnings in Virginia in the context of its Powhatan, English and African cultures. On display are more than 500 artifacts from Europe and Africa, archaeological items. PARKING: 12 wheelchair accessible parking places with van accessible aisles. TYPES OF PATHS: Hard surface with gradual slopes, connect all areas of the attraction, accessible for persons with mobility disabilities. ENTRANCE: Automatic doors at museum entrances. Interior steps on ship Susan Constant. Each step is marked with tactile strip. Handrails. Ships are not accessible for wheelchairs. Staff will interpret on pier. PUBLIC RESTROOMS: Located in lobby near museum theater and exhibit galleries, and at the ships pier. Wheelchair accessible toilet is 19 inches high with room for a lateral transfer. Sink height 32 in. Pipes wrapped. Accessible stall checked regularly for obstructions. Rest rooms are identified by a raised figure with pants or skirt on door to designate men or women. 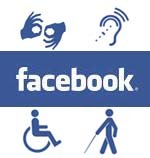 Call 757-253-4838 or toll free at 888-593-4682 for information about accessibility for people with disabilities. For guests with hearing disabilities, open-captioned versions of films are shown daily, and assistive listening systems are available on request. Sign-language interpreters are available with a minimum of two weeks’ advance notice. The TTY phone number is 757-253-5110. For guests with visual disabilities, outdoor interpretive areas offer a hands-on experience, with opportunities to handle reproductions of period artifacts. Museum gallery exhibit labels in large print, with contrasting background. Galleries feature some touchable objects, sound effects and audio-visual presentations. A guide will provide descriptive explanation with two weeks advance notice (call 888-868-7593 toll-free). Link to videos on Jamestown covering a wide variety of topics from Jamestown's beginnings to exploring the lives of the people who lived there, Chief Powhatan and Pocahontas, and much more. For guests with mobility disabilities, the aisles in the theater are 42 in. wide, with cut outs in the front and rear of theater for visitors in wheelchairs. Wheelchairs and motorized scooters are available at no charge on a first-come, first-served basis. There are lowered drinking fountains. All areas of the museums, except on board the ships, are wheelchair accessible. FOOD AND BEVERAGE FACILITIES: Jamestown Settlement Cafe is open 10 AM-5 PM. Indoor and outdoor seating available with 28 in. high tables. GIFT SHOP: Personalized customer assistance offered to anyone in need. Wide aisles accommodate manual and motorized wheelchairs. Counters are 36 inches high. Wheelchair accessible registers available. Period replicas, educational toys and games, gift and food items, book, and souvenirs. ADDITIONAL INFORMATION: V and MC Accepted. Admission fee. Group discounts available. Combination ticket with Yorktown Victory Center. Hours: 9-5 daily, 9-6 June 15-Aug. 15. Closed New Year’s and Christmas.